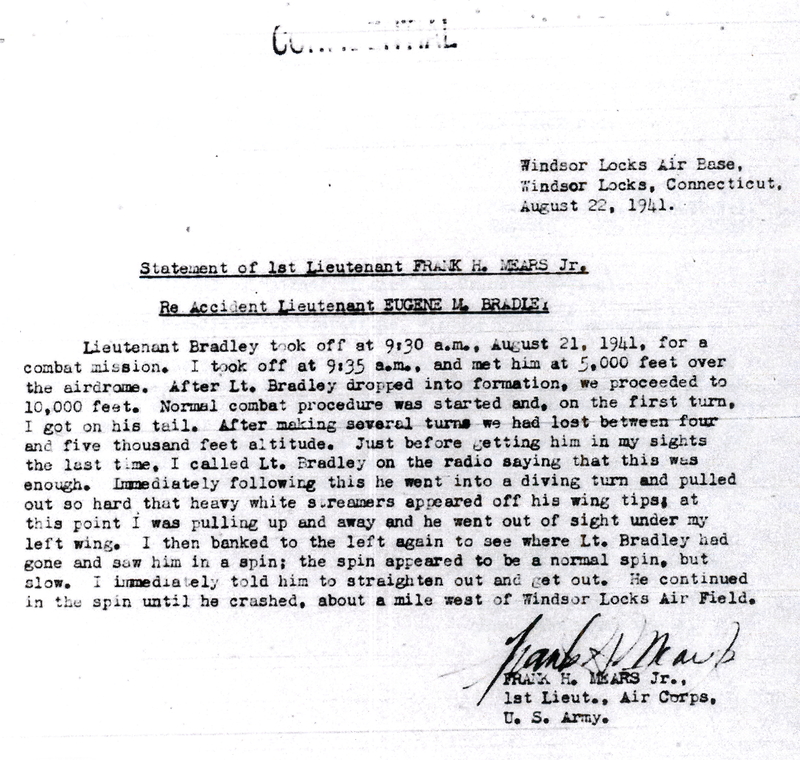 On August 21, 1941, Second Lieutenant Eugene M. Bradley was killed when the P-40C fighter plane he was piloting (# 41-13348), crashed at Windsor Locks Army Air Field during a training flight. 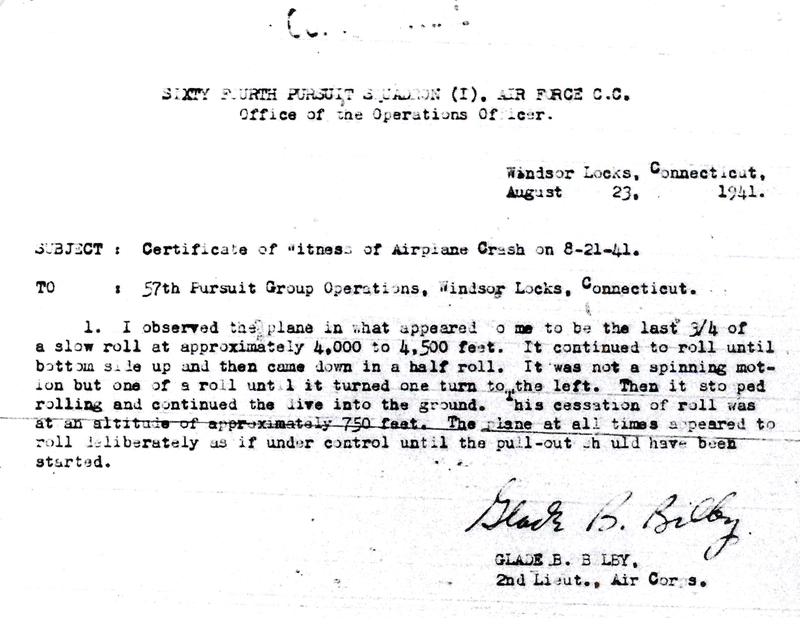 What makes this accident historically significant is that it led to the air field being re-named in his honor. We know it today as Bradley International Airport. 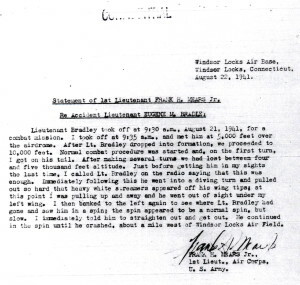 The accident occurred while Lt. Bradley was taking part in a mock dog-fight with 1st Lt. Frank H. Mears, Jr. 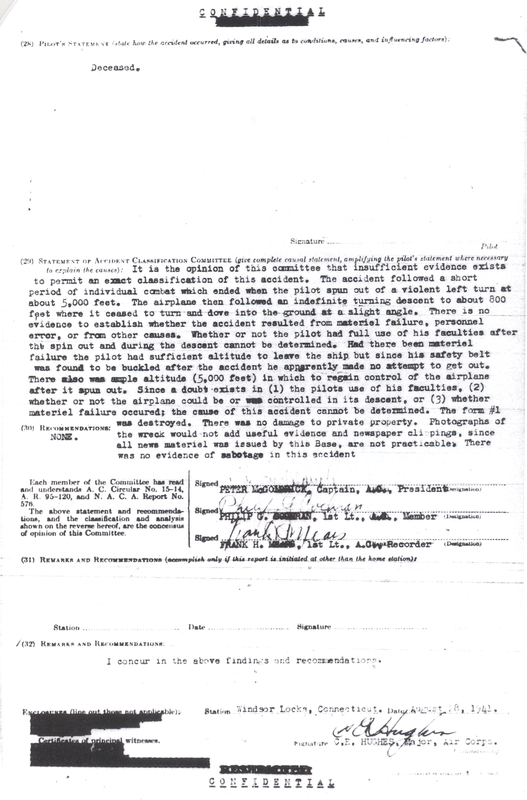 Both men were assigned to the 64th Pursuit Squadron of the 57th Fighter group which had just arrived at Windsor Locks two days earlier. 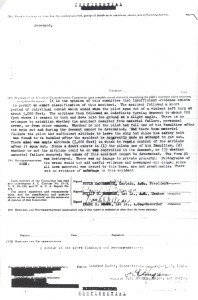 Portions of the Army crash investigation report of the accident are posted here for historical purposes. 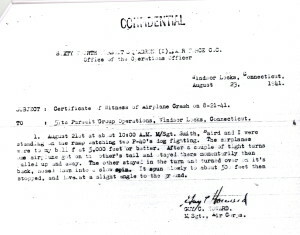 1st Lt. Frank H. Mears, Jr. The accident was also witnessed by at least four men on the ground, each of whom gave statements to investigators. The investigation committee also ruled out sabotage. 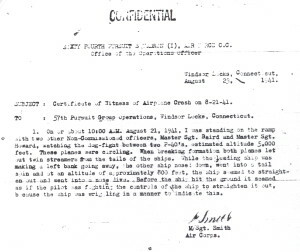 There are photographs in existence reportedly showing the wreck of Lt. Bradley’s P-40 aircraft, however there is no indication in the accident investigation report that any official photos were taken as part of the investigation. 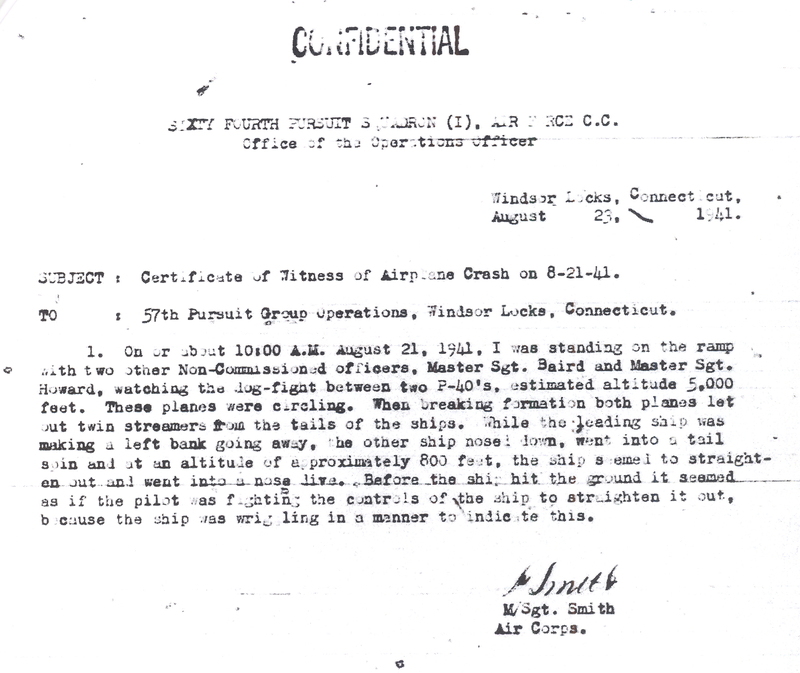 In fact, one portion of the accident investigation committee’s narrative states, “Photographs of the wreck would not add useful evidence…” Therefore, it can be surmised that any photos of Lt. Bradley’s wrecked aircraft were taken by other persons not involved with the investigation. 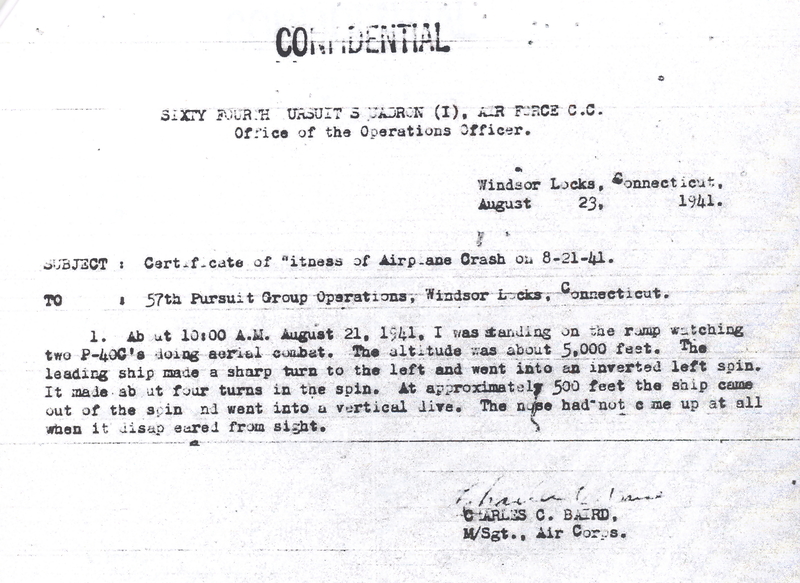 In 2005, a search was begun to locate the site of where Lt. Bradley’s P-40 crashed. 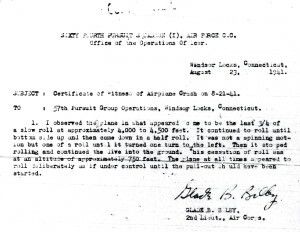 It was no small undertaking, for the airport had grown and changed significantly since World War II, and although Lt. Bradley’s fatal accident was the first to occur at the field, it wasn’t the last. 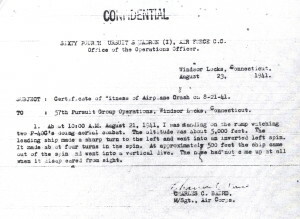 According to an Associated Press newspaper article which appeared September 15, 2009, when Bradley’s P-40 crashed, parts of the engine were buried thirteen feet deep, and only the tail was seen protruding from the ground. Heavy equipment removed the wreckage, and the hole was filled by using a bulldozer. 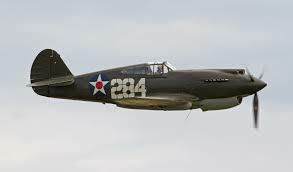 Therefore, researchers didn’t expect to find a complete aircraft, only small pieces of one, which would then have to be identified as coming from a P-40. 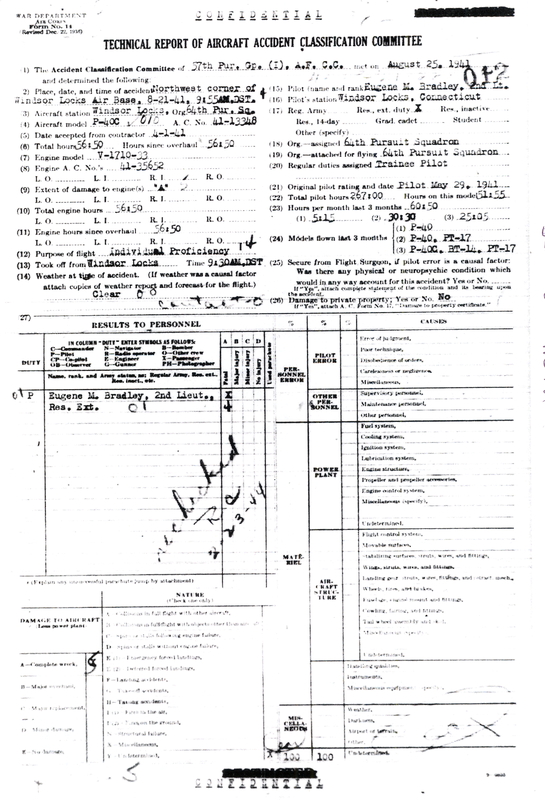 Researchers sifted through various state and military records, old aerial photographs of the air field, newspaper collections, and other sources while gathering information in their quest. Several potential sites were examined. The wreck site was finally determined to be under Runway 33 of Bradley International Airport. The runway was extended in the 1960s to allow jet airliners to land, and the site was unknowingly paved over. Eugene Bradley was born in Dela, Oklahoma, July 15, 1917, and was 24-years-old at the time of his death. He’s buried in Fort Sam Houston National Cemetery, in San Antonio, Texas, Section E, Site 67. He was survived by his wife and unborn child. 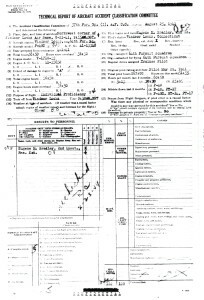 Windsor Locks Army Air Field came under the jurisdiction of the U.S. Army in 1941 after acquiring the land from the State of Connecticut. 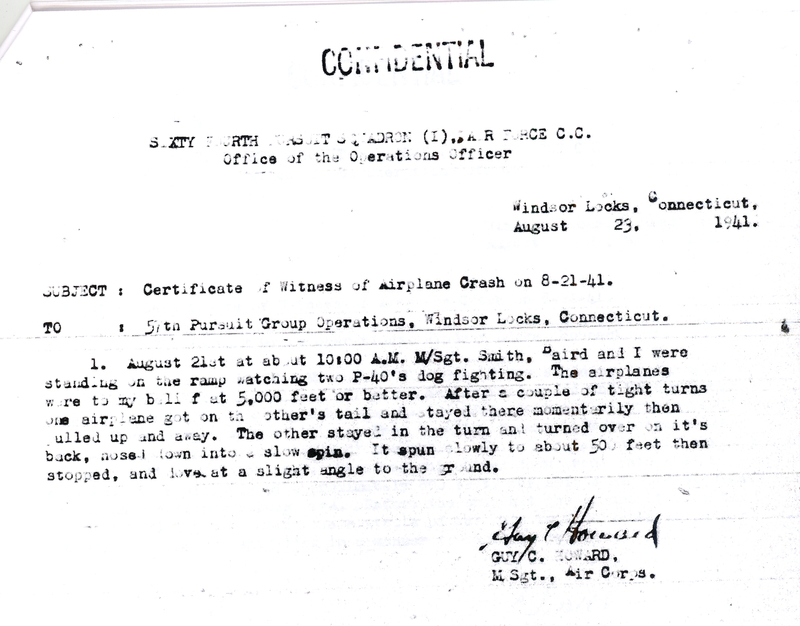 The air field was re-named to honor Lt. Bradley on January 20, 1942. After the war the airfield reverted to civilian use and is today Connecticut’s primary airport. 57th Fighter Group – First In Blue, by Carl Molesworth, Osprey Press, copyright 2011.